North Dorset ecohomes project is looking for ecohomes! > North Dorset ecohomes project is looking for ecohomes! 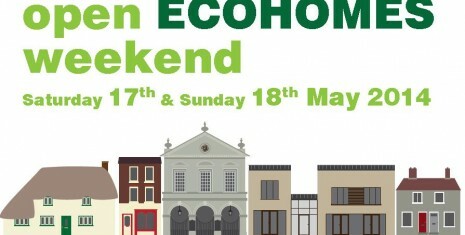 The first free Eco-homes event in North Dorset will take place on the weekend of 17/18 May 2014 to showcase energy efficient homes and offices in the District. North Dorset District Council has received support from the Centre for Sustainable Energy to run the event. We are asking for those householders and companies who have installed energy efficiency, renewable energy and other environmental improvements in their homes and offices to share their experience with those who wish to improve their own properties. There are many who have invested in improving the environmental performance of their properties and offices – with energy prices rising this is an opportunity to share experiences to the benefit of the local community and show off your work! The project is aiming to have 25 homes, community buildings and other environmental projects in North Dorset available to visit over the weekend. With increasing concerns over fuel poverty, rising energy costs and wider environmental issues the project will aim to demonstrate, even in older properties, what can be done to address all three concerns. and filling out some basic information. The project will close for entries at the end of February 2014 when a website and booklet will be produced to showcase the event. "It’s great to see that renewable energy is being embraced in North Dorset. Hopefully the rest of the country will follow suit. "